ICPHSO Regional Workshop Registration Now Open! Registration is now open for the ICPHSO Midwest Regional Training Workshop on July 11, 2019. This one day workshop hosted by Saint Louis University, Richard A. Chaifetz School of Business, Supply Chain Management Excellence, will focus on best practices, innovations in product safety and compliance. With its theme “Gateway to Product Safety,” the training workshop is a must attend for product safety and health professionals. While proposals for content for the day’s training are still being accepted, as in previous regional training workshops, we anticipate relevant and emerging safety issues to be discussed. We want you to be a part of the conversation. Register today and be sure to reserve your hotel room while rooms are still available. If you have a proposal for an issue that should be considered for discussion, we still want to hear from you. Submit your proposal today before the deadline. During the recently held Annual Symposium in Washington, D.C., the meeting app we used allowed for real time polling and questions. We have now posted on line for members and symposium attendees (under the Resource Link on the website) the questions asked during each session as well as the polling results for your continued reference). We hope you find this posting helpful as you conduct your day to day business. We would also like to hear back from you if you think this posting is of value or have any suggestions on its future use. Be sure to save the date (October 24-25, 2019) when ICPHSO heads to Trinity College, Dublin, Ireland for our first International Symposium in Ireland. 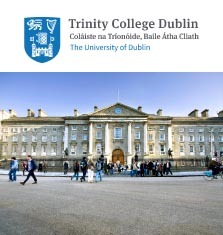 We are excited to be working with Trinity’s School of Business and holding our two-day International Symposium on their historic campus, which is located in the heart of Dublin city centre. As more details are available, the website will be updated. For now, be sure to Save the Date! Looking forward to seeing you in St. Louis!